These little galettes are delicious as a starter or even main. It is like an explosion of flavours. They are sweet from the potatoes, slightly salty from the goat's cheese and a hint of spiciness from the chilli. The addition of a good dollop of soured cream and the puff pastry just make these galettes so light and scrumptious. If you have the time, I would suggest making your own puff pastry. But unlike shortcrust pastry, this is quite a laborious process, so a shop bought version on this occasion is just as good, but make sure you get a good quality all-butter pastry. This can be served warm or cold which makes this also perfect for party to picnic food. Pre-heat the oven to 200°C . Bake the sweet potatoes in their skins for 35-45 minutes. Leave until cool enough to handle, then peel and cut into thin slices, about 3mm thick. Roll out the puff pastry to about 2mm thick on a lightly floured work surface (this prevent the pastry from sticking). Cut out out four 7 x 14cm rectangles and prick them all over with a fork. Line a small baking sheet with baking parchment and place the pastry rectangles on it, well spaced apart and leave to rest in the fridge for at least 30 minutes. Remove the pastry from the fridge and lightly brushed with beaten egg. Spread a thin layer of soured cream onto the pastries, leaving a 5mm border all round. This allow the border to rise during the baking. Arrange the potato slices on the pastry, slightly overlapping, keeping clear of the border. Season with salt and pepper and crumble in the goat's cheese on top and sprinkle with the pumpkin seeds and chilli. Bake in the oven for 20-25minutes or until the pastry is cooked through. Whilst the galettes are cooking, stir together the olive oil, garlic, parley and a pinch of salt. As soon as the pastries come out of the oven, brush them with this mixture. Serve warm or at room temperature. Mexican food are not only easy to prepare, but also absolutely delicious. Different variety of Chillies are often used , dried and fresh, not only to provide heat to the dish but also to impart their unique flavour. 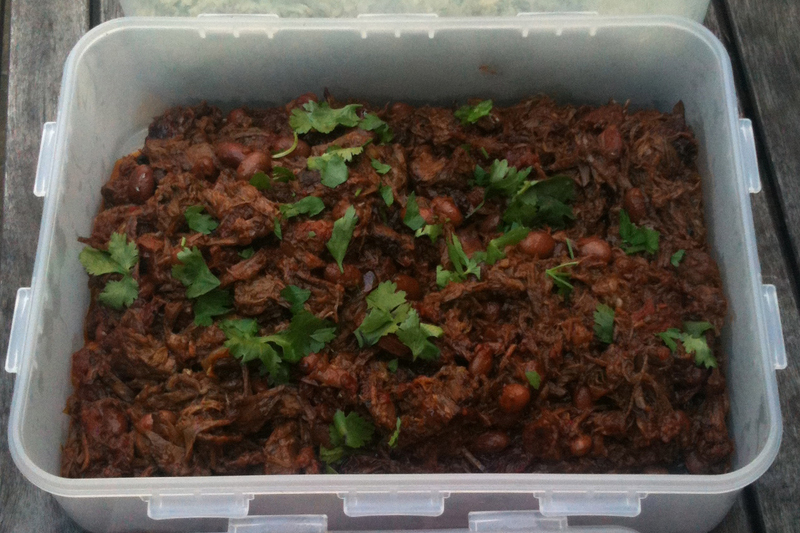 Chipotles en Adobo is a smoky, sweet sauce/purée made from the dried chipotle chillies. A chipotle is a smoked, dries jalapeño chilli with an intoxicating fiery flavour. I always make this in a big batch and store it in a clean sterilised jar. This is an indispensable ingredients as it add enormous flavour to braised meats, sauces, stews, dressing and even for a pizza topping. It is also one of the essential ingredient for my Chile con Carne dish. 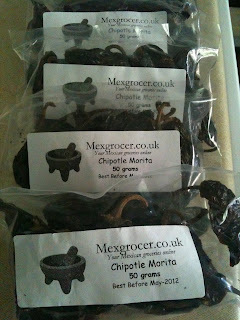 Chipotle chillies are now increasingly easy to obtain here in London. You can find it readilly available in Borough Market, The Spice Shop on Portobello road or on the MexGrocer website. This sauce/pureé can also be bought ready made in a jar but I personally think nothing beat a homemade version. Once made, this will keep and lasts for months. Wash the chipotles in cold water and drain. Snip off the stalk end of each chilli. This allows the water to penetrate their tough skins. Cover the chillies with water in a pan and bring to the boil. Simmer on a low heat for 35-40 minutes until completely soften. Drain and set aside. Reserved the cooking liquid. Put the onion, garlic, herbs and cumin in a blender together with 200ml of water and six of the soften chillies and pureé to a smooth paste. Heat the olive oil in a large pan. When smoking hot, add the chillies paste and fry for about 3 minutes, stirring constantly with a spatula to prevent it from burning. Add the vinegars, tomato pureé, sugar, salt and 100ml of the cooking liquid and cooked for another 5 minutes before adding in the rest of the chillies. Cook, whilst stirring, for a further 15 minutes. Check for seasoning and add more salt or sugar if necessary. Remove from heat and allows to cool. Once cooled completely, tip into a blender and blend into smooth pureé. Store in a clean, sterilised jar. I loves Brussels sprouts and this to me is an excellent way of cooking it. Pan frying them in a searing hot pan slightly charred the sprouts and add to the nuttiness flavour. This is so easy to make and will be a great accompaniment to any dish. I have used the purple sprouting variety but the normal variety is just as good. If you are vegetarian, just omit the Pancetta. This will, I believe, convert even the most stubborn sprouts-hater. Do not overcooked the sprouts, there should still be some crunch to it and not all soggy and mushy. Fill a pot with water and bring to the boil. Add a pinch of salt and bro the boiling water blanch the Brussels sprouts for 3 minutes, then drains and tip into a bowled of iced water to cool them down quickly. This stop any further cooking and retain their colours. Heat up a large frying pan, drizzle with some olive oil and sauté the panetta, if using for a few minutes, until crispy. Add the sprouts to the pan and sauté for a minute, then add the chillies, garlic and onion and toss everything together and cooked for a further 2-3 minutes. Season with salt and pepper and serves. This is another one of my favourite. As much as I love the traditional Christmas cake, sometime I think it's much far too rich and heavy. Lots of my friends don't really like the dried fruits so this is a good alternative for Christmas entertaining. And the icing Christmas tree and holly figurine and the light dust of icing sugar just make this a truly special festive celebration treat.......let it snow....let it snow.....! Preheat the oven to 200°C. Line a 25 x 30cm Swiss roll tin with baking paper. Beat the eggs with a whisk for about 6-8 minutes until starting to become thick and creamy. If you're lucky enough to have an electric which, use that and it should takes about 2 minutes. Add a table spoon of sugar at a time, beating well after each addition. 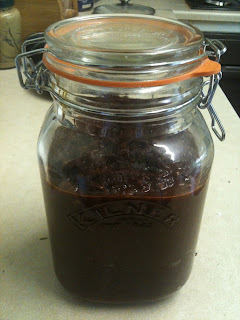 Continue beating until the sugar has completely dissolve - the mixture should not feel gritty. Beat in the vanilla. Sift the cocoa, cornflour, plain flour, ground almonds and baking powder together twice. This give you a lighter sponge cake. Add half of the flour mixture into the egg mixture and carefully fold it in using a spatula, taking not to beat out all the air. Add the remaining flour mixture and fold it through again, be as gentle as you can. Carefully pour the mixture into the prepare tin and smooth over. Cook in the oven for about 10 minutes, until golden all over and it should spring back when given a gentle poke. Or test it by inserting a knife and it should come out clean. Remove from oven and invert the cake into a clean tea towel that has been line with a baking paper and dusted with some icing sugar, this will help to prevent the cake from sticking to the paper. Peel off the baking paper used to lined the tin and discard. Brush the top of the cake with the almond liqueur. Using the tea towel to help you, carefully roll up the cake and the baking paper lengthwise. Place the roll up cake on a cake rack and allow to cool completely. Meanwhile, make the filling by beating the chestnut purée, almond liqueur, sugars and vanilla until very smooth. Whip the cream to a firm peak, then fold into the chestnut mixture. Cover and chill until ready to use. When the cake is completely cool, carefully unroll, discarding the baking paper and spread the chestnut cream thinly over the top. Roll up again, place the seam side down on a serving platter, and refrigerated until needed. To make the ganache, heat the cream in a saucepan over medium heat until just comes to a boil. Remove from heat and stir in the chocolate until they are completely melted. Allow to cool slightly and then beat in the softened butter until the mixture is smooth and a consistent colour. Chill in the fridge for about an hour until a spreadable consistency. When ready to ice the cake, cut , on a diagonal about a quarter of the cake from one end of the log. Spread a little of the ganache on the cut side of the small piece of cake and adhere it to one side of the log to make a small 'branch'. Spread the rest of the ganache over the entire cake, then run a fork over the top to create a bark-like effect, complete with knots. Cover and refrigerate overnight. This allow the cake to rest so it has the right consistency and flavour. When ready to serve, liberally dust the cake with icing sugar, to represent snow and garnish as desired.